Immediately after sharing the article on Vegetarian and Vegan Cookbooks a friend of mine who has a daughter who only eats vegan food told me about a recipe book she loves. When our Cazinc The Label’s creative designer Zoe (who also eats vegan and shared a recipe with us) read this, she told me about the amazing recipes the Bosh team put together. So I asked Zoe to take off her creative hat and write an article for us. Here it is. Going vegan doesn’t mean you have to go hungry. If you are new to the vegan game or have been vegan for a while, one thing that never changes is you’re always looking for different ways to make mealtimes exciting. Well, look no further than the two British boys that started Bosh! 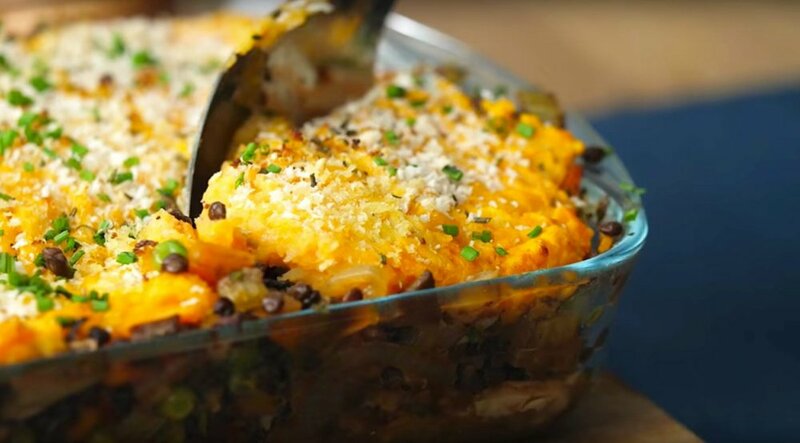 They have published a cookbook which gives you vegan alternatives to the comfort foods you grew up with like shepherd’s pie, bangers and mash, mac and cheese and so much more. There are also great ideas for meal prep for those training and wanting to build muscle. The recipes are easy to follow and packed full of flavour. I have served some of these meals to my non-vegan friends and they are always blown away by how much you can do with veggies! Just because you eat vegan doesn’t mean it has to be boring! Ian is a creative marketer with a background in fashion whose wordplay and inventive concepts create new go-to favourites for BOSH’s thousands of fans. He also wants to bring plant-based food to the world, helping people and planet to thrive. Henry is a creator with a background in digital video and businesses and a passionate home-taught cook. His life’s mission is to make a positive impact on reducing climate change by showing the world just how easy, delicious and fun plant-based food can be. If you want to try a few recipes out before purchasing their cookbook follow them on Instagram as they upload recipe videos daily here. If you want to purchase their cookbook, watch videos and or read their blog, visit their website here. Bosh also reviews vegan restaurants and bars, which is great to read before travelling. Zoe is travelling to New York and has a list of their restaurants to visit while there, and she has been told (in a subtle but forceful way - lol) to take heaps of notes and photos to come back and share them with us. Sep 28 What Tools Do You Need To Clean Out Your Wardrobe?